Home » Bollywood News » Has Aamir Khan replaced Hrithik Roshan in Amitabh Bachchan's Thug? 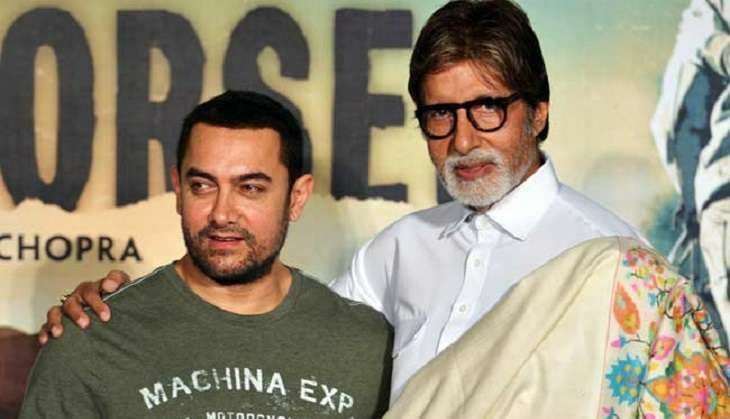 Has Aamir Khan replaced Hrithik Roshan in Amitabh Bachchan's Thug? It was widely reported that Hrithik Roshan is in talks with Dhoom 3 director, Vijay Krishna Acharya, for his upcoming action bonanza, Thug. However, if the latest media buzz is to be believed, Aamir Khan has replaced the Mohenjo Daro actor in the film, which also stars Amitabh Bachchan in the lead. "The makers are known to keep each of their projects under wraps till it gets rolling. Everyone associated with the venture has been told to keep mum till an official announcement is made. It is an ambitious project, no doubt." The film is said to be the cinematic adaptation of best-selling novel, Confession of Thug, which is a period drama set against the rampant thug culture in the pre-independence era. The film will also capture the relationship between a father and son.